December is halfway over, and we’ve got a look at what’s coming to Netflix in January, but it turns out Netflix has some last-minute surprises for December, as well. Netflix announced The OA earlier this week and the out-of-nowhere show lands on Friday, Dec. 16. Netflix is really playing up the mystery angle in its marketing, with the surprise announcement and the cryptic images and videos on Instagram and Twitter, so we don’t really know what the show is about, but at least it looks intriguing. Also, for those who could appreciate the weirdness of Sense8, there’s a new episode incoming, a holiday special that will debut a few days before Christmas. This is just a single episode though, as season two won’t be out until May. As for January, Netflix has a major original show debuting, as well as a whole bunch of classic movies. 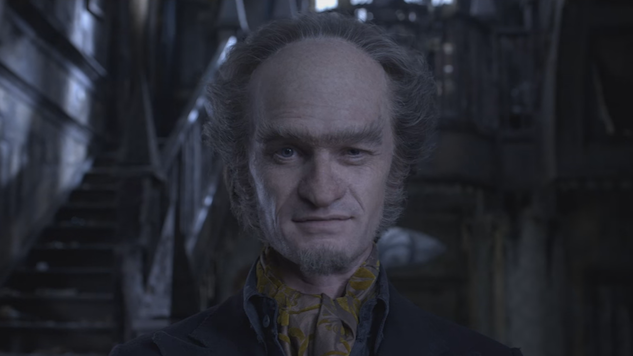 Probably the biggest Netflix original is the long-awaited adaptation of A Series of Unfortunate Events starring Neil Patrick Harris, which premieres on Jan. 13. Jason Momoa’s Frontier, a show about fur trappers in the 19th century that’s apparently so promising that it got picked up for a second season before its first season even aired, premieres on Jan. 20. If you’re looking for a movie, there are a whole host of classics coming to the service on New Year’s Day, including Caddyshack, The Shining, Braveheart, E.T. and all five Superman movies. Unless you’re into sports or home renovation shows, there’s not too much of note leaving Netflix in January. Nine of ESPN’s excellent 30 for 30 documentaries are on their way out, along with seasons of the ultimate guilty pleasure, lazy Sunday shows, Chopped, Property Brothers and Law and Order: SVU. If you’re looking to rewatch the Fast and Furious movies before The Fate of the Furious in April, make sure you catch the original movie and Tokyo Drift before they leave on New Year’s Day. Watch the trailer below showing some of the new shows coming to Netflix, and find the full list of comings and goings beneath that.